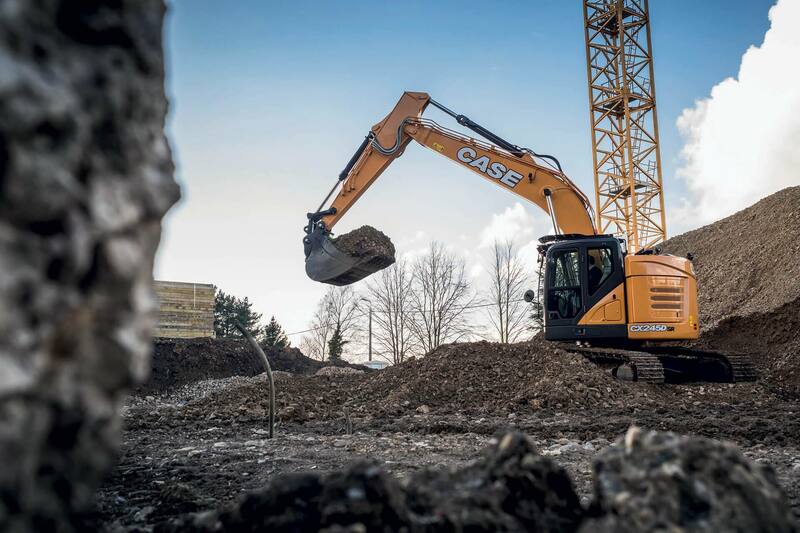 Greater fuel efficiency, precision manoeuvrability and increased bucket digging force and lift capacity with the new CASE CX245D SR excavator. 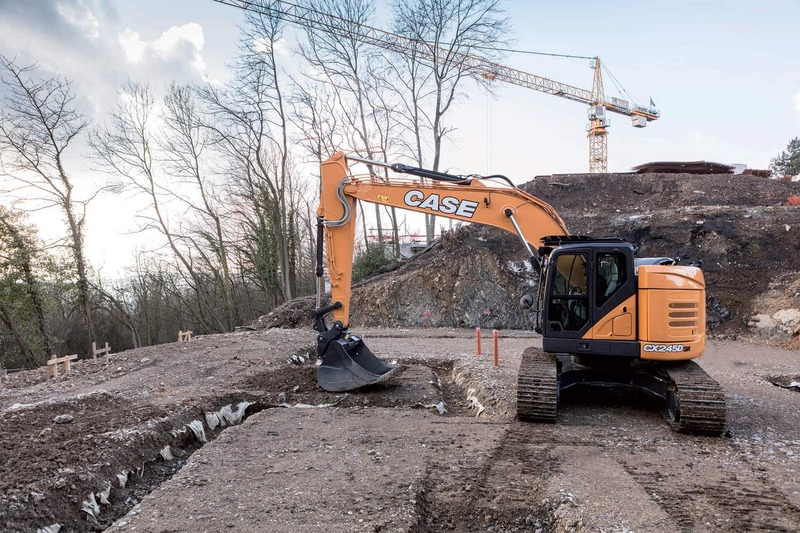 CASE Construction Equipment has introduced the all-new CX245D SR minimum-swing radius excavator to its D Series line-up. Designed to provide increased digging and lifting power in confined work areas, the CX245D SR features a compact counterweight and modified boom placement that minimizes the machine’s footprint, resulting in a highly productive and manoeuvrable excavator that’s ideal for restricted conditions, such as road and bridge work, residential projects and urban construction. With an operating weight of 26 tons and a 160 HP Tier 4 Final/Stage IV engine, the CX245D SR offers more bucket digging forces and lift capacity compared to the previous model. Each D Series model is built to provide significant operational gains, including decreased cycle times, improved responsiveness and multifunctional controls, and greater fuel efficiency. An electronically controlled hydraulic pump and larger control and solenoid valves increase lifting capacities and improve responsiveness. 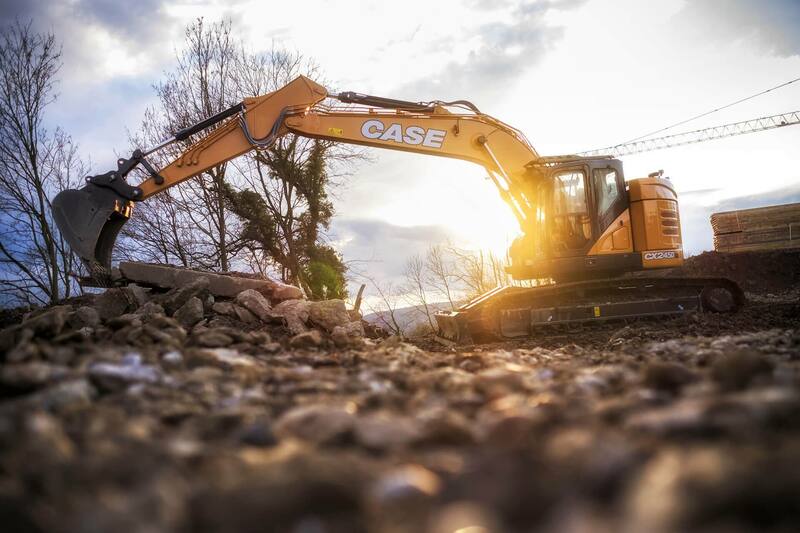 D Series models offer more standard features than previous CASE excavators, simplifying the buying process and making them extremely versatile and operator friendly. 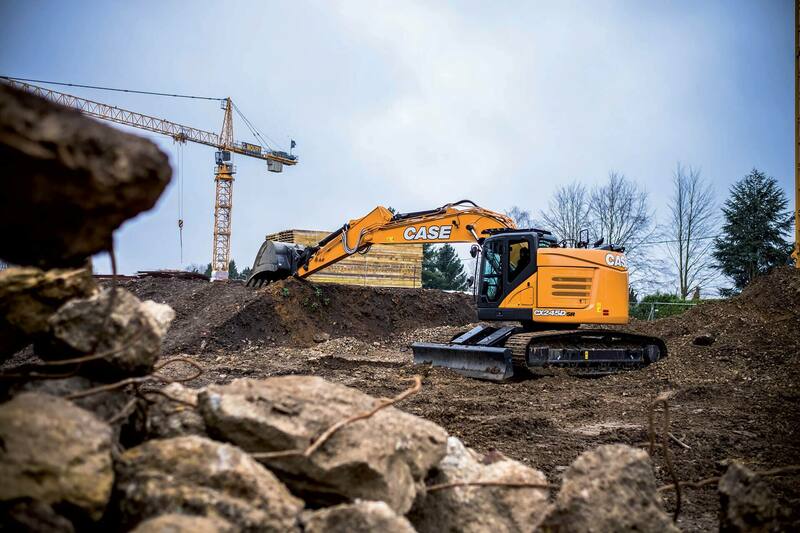 The CASE CX245D SR excavator meets Tier 4 Final/Stage IV emissions standards through an innovative combination of selective catalytic reduction (SCR) and diesel oxidation catalyst (DOC) technologies, which helps maximize uptime and performance – all with minimal maintenance. There is no diesel particulate filter (DPF), no DPF regeneration or associated lifetime service costs. The system is also very economical in its use of AdBlue, which is just 2.5% - 3% of fuel consumption. The large AdBlue tank only needs to be refilled every 5 fuel refills, so that no time is wasted. Faster cycle times are achieved through a new electronically controlled pump, a larger control valve and multiple sensors. These features combine with the CASE Intelligent Hydraulic System and the CASE advanced energy management with its five integrated control systems to make the best use of the machine’s hydraulic power and momentum, resulting in added strength, maximum power and fuel efficiency. Idle functions: the Auto Idle function lowers engine rpm after 5 seconds of lever inactivity whatever the throttle position, while the Idle Shutdown function shuts the engine down after a pre-setted time. Torque control decreases main pump loads to prevent a drop in engine rpm. Boom Economy Control (BEC), which reduces RPMs by using gravity during boom down and swing. Swing Relief Control (SWC), reduces hydraulic power at the swing start. Spool Stroke Control (SSC), adjusts hydraulic pressure during digs. 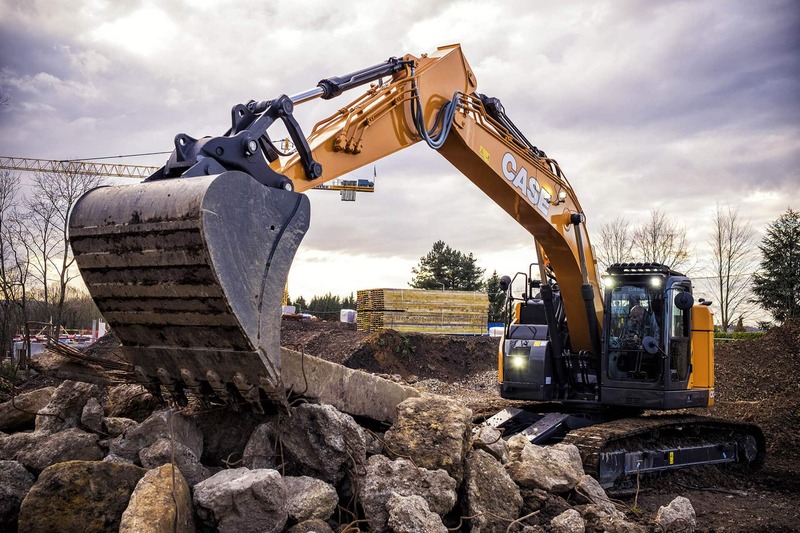 Using improvements to the Spool Stroke Control system, the CX245D SR excavator re-uses hydraulic fluid whenever possible to automatically increase cycle times and efficiency. The operator experiences a more productive machine without losing the precision of the machine’s controls. 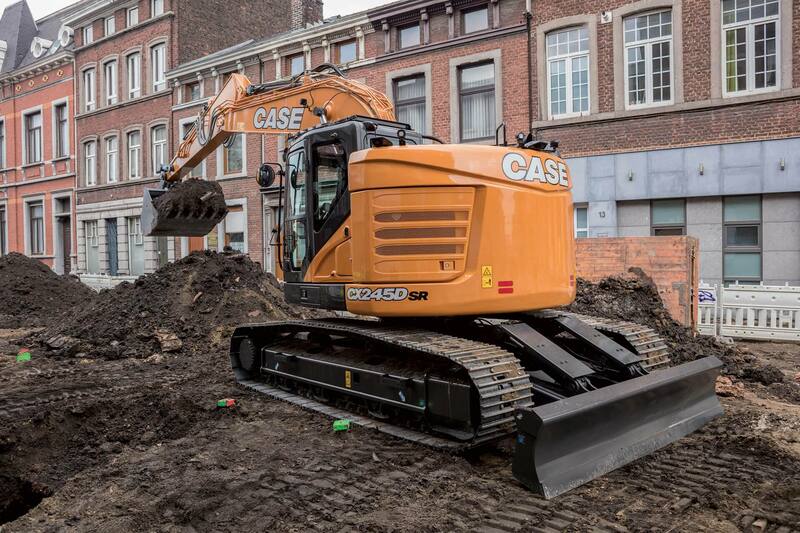 CASE D Series excavators now offer more features than any previous CASE crawler excavator, like the optional travel alarm and the oil sample ports for quick sampling of engine and hydraulic oils. Each D Series machine is equipped with a fully adjustable operator station anchored by a standard heated air-ride seat and joystick controls that allow for smooth performance. The CX245D SR also has best-in-class cab space, excellent visibility, and a pressurized and iso-mounted cab that keeps noise and vibration down. A standard Bluetooth radio gives operators hands-free functionality that further improves the operator experience. A standard rear view camera feeds a 7-inch widescreen monitor that also provides operators with real-time access to important performance parameters, including fuel consumption, operating hours and machine information. The excellent visibility of the cab is further aided by the standard rear and side view cameras and by the optional CASE maximum view monitor, an innovative 3 camera system. Each machine is available with a new (optional) LED working light package that provides illumination similar to sunlight – and more than three-times brighter than halogen – allowing contractors to work around the clock. The LED package includes eight LED lights (3 front, 1 on the arm, two rear and one on each side).